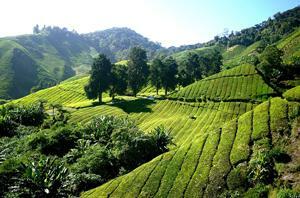 Cameron Highlands is one of the highest mountain peak in Malaysia and it equals the size of Singapore. 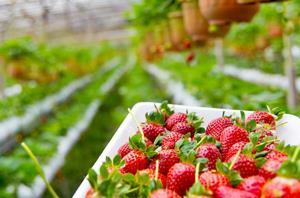 This area is most well known for its numerous tea garden and strawberry farms, due to the low temperatures of the hill. During the day, the temperature seldom rises above 25 °C and drops as low as 9 °C at night. Because of its geographical location, you can’t actually reach Cameron Highlands with a train, since the nearest station is in Kuala Lipis. Therefore, the most preferred mode of transportation to get there is by taking a bus to Cameron Highlands. Most of the bus to Cameron Highlands will make drop offs and pick-ups from several selected hotels, apart from the main bus terminal in Tanah Rata (Tanah Rata Bus Terminal). The Tanah Rata Bus Terminal is not only the main bus terminal in Cameron Highlands, but it is also the only bus terminal within the area. Other locations merely serves as a pick-up or drop off point. The Tanah Rata Bus Terminal is located less than 5km from Brinchang, which is one of the main towns in Cameron Highlands. For travelers taking the bus to Cameron Highlands that stops at the Tanah Rata Bus Terminal, you will have a choice to take a 7-minute ride to Brinchang or take scenic 43-minute walk through numerous stalls and shops selling beautiful flowers, fresh strawberries and unique trinkets and souvenirs. Since the Tanah Rata Bus Terminal is the only bus terminal in Cameron Highlands, most bus operators will make pick-up and drop offs there, including GT Express and C.S Express. Boh Tea Plantation, Cameron Bharat Tea Estate, Mossy Forest, Raju Hill Strawberry Farm, Big Red Strawberry Farm, Brinchang Mountain, Cameron Highlands Butterfly Garden, Time Tunnel Museum, Cameron Lavender, Sam Poh Temple, Cactus Valley, Tan’s Camellia Garden. Book your tickets for the bus to Cameron Highlands today!